Titus Contracting Finishes Mears Park Office Remodeling Project in Just 7 Days! Titus Contracting Finishes Mears Park (St Paul) Office Remodeling Project in Just 7 Days! Outside of the Mears Park (St Paul) office remodel we completed in seven days! Few businesses can afford to close their doors and lose business while office remodeling is being done. That’s why experienced construction project management is so important. 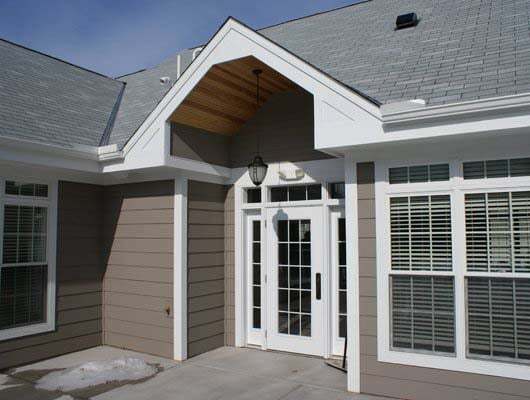 When Titus Contracting manages a commercial remodeling project, you can be sure of high-quality craftsmanship and minimal disruption to your customers and bottom line. Once again, a large Twin Cities property management company has trusted Titus to efficiently design, build and manage their office space remodel. Work included building an updated entryway, installation of beautiful new cabinets, countertops, flooring, doors, trim, painting, wallpaper and updating lighting fixtures. The owners, office staff and tenants have now joined our family of very satisfied Titus customers! This Mears Park (Saint Paul) office remodel was completed in just seven working days! Please see the photos below to view Titus Contracting’s commercial office remodeling expertise. Beautiful turnaround, beautiful job! Check out our our commercial services and see before and after pictures of this job!